LED flat screen for only $19.99! Don't get scammed by fake monkey brokers! Well played, weatherman. Well played. To promote sales in France, Hasbro has started secretly inserting REAL money into some of their Monopoly games. 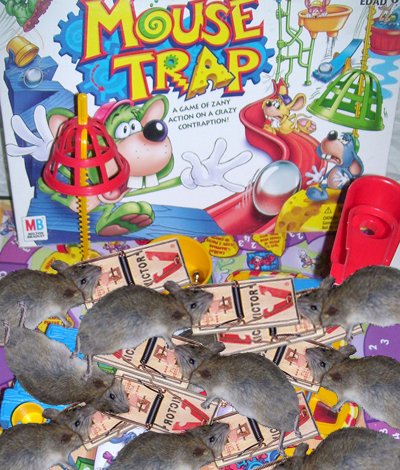 Let's hope this plan goes better than when they tried a similar strategy with the classic game Mouse Trap.